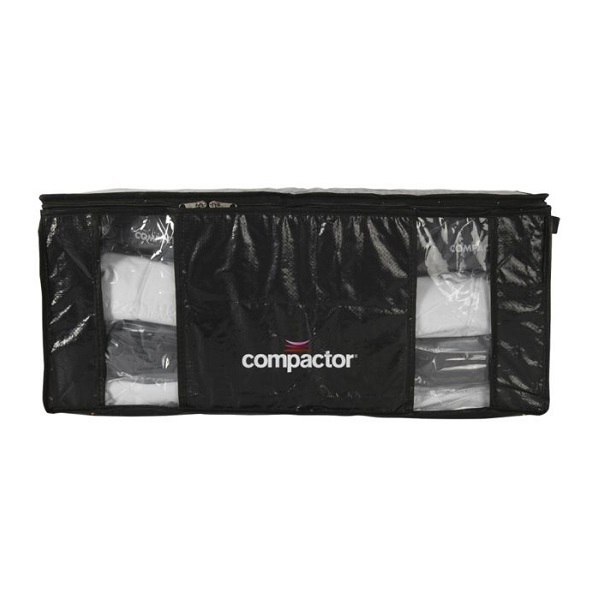 Soft Case Compactor Parisienne size XXL. Glossy black, looks chic. Capacity: 210 Litres. 50 x 65 x 27 cm.
. Used to store linens, sweaters, shirts, bed linen ..